Singapore Riverside Point is located along Singapore River bank near Merchant Road. 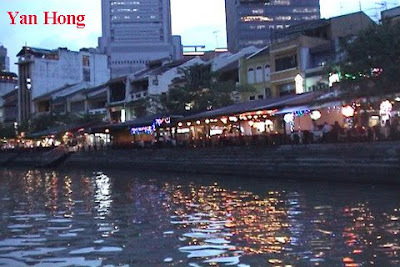 The above photo of Riverside Point was taken from Clarke Quay when I went there for river cruise. Riverside Point is just opposite Clarke Street on the other bank of Singapore River. 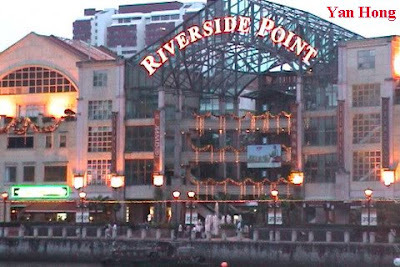 Riverside Point is a favorite dining place for foreigners who are working in Singapore. There are many food available at Riverside Point. The foods range from Chinese, Indian, Indonesia, Western and local delicacies. You can take a stroll a long the river bank at Riverside Point before you make any decision.